found it having some maintenance done to the outside. Not the most interesting having been 'restored' in 1857 (i.e. rebuilt). and show signs of repeated patching and repairs of varying standards. 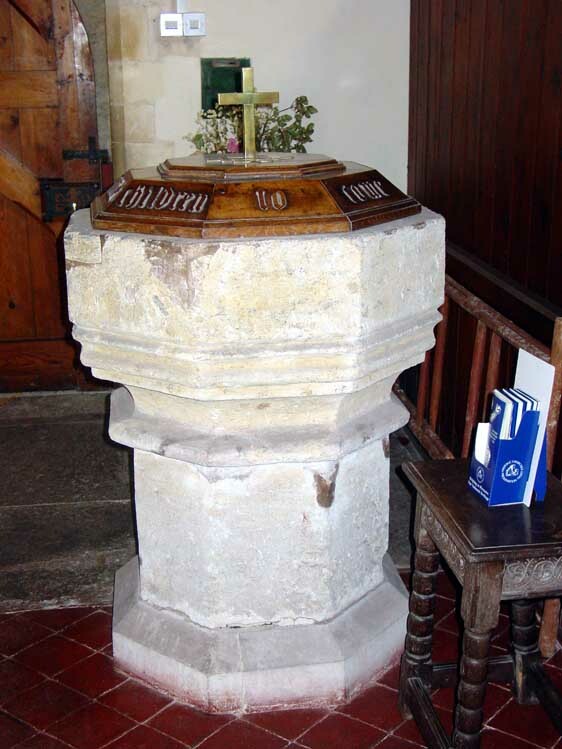 The octagonal stone (Pulborough?) font is at the west end inside the single 13th C South Doorway. It is variously dated from 13th to 17th C. on a modern stone base. The registers are dated from 1560.